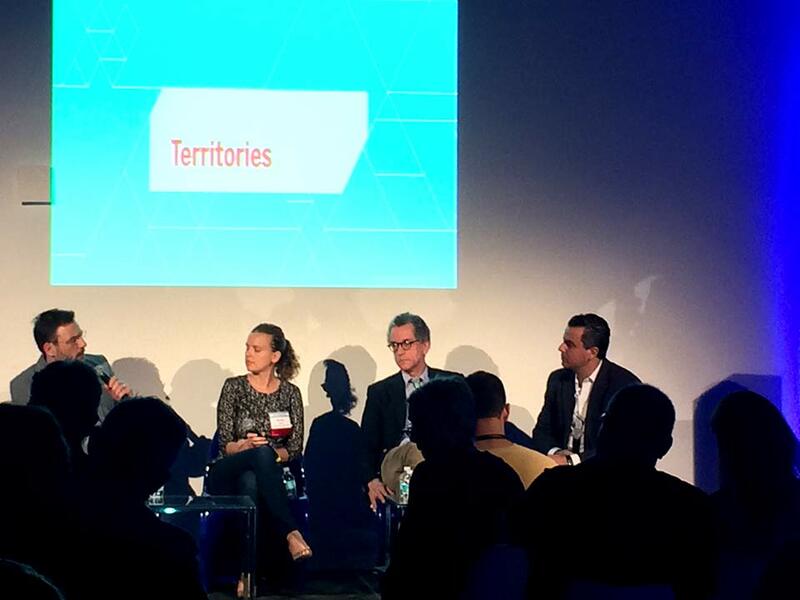 Roberto Rovira moderates the “Territories” discussion at the Coastlines: Architecture, Landscape, and the Construction of Waterscapes Design Symposium by Harvard Graduate School of Design, in Miami’s Design District, December 8, 2014. Session speakers: Pierre Bélanger, Guy Nordenson, Justine Kwiatkowski Vélez. 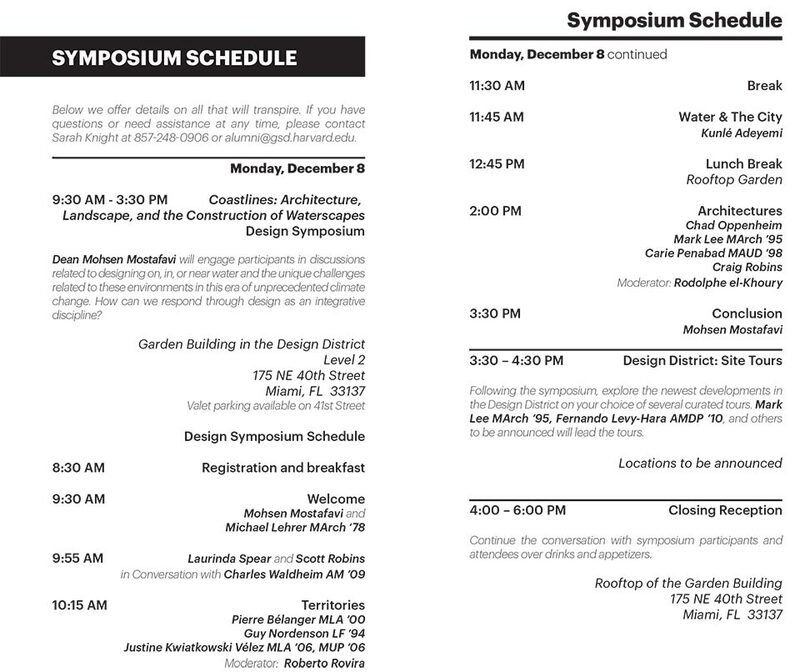 Leading architects, landscape architects, engineers, developers, and planners, and engage in discussions grounded in the exciting research being conducted by members of the GSD community in Cambridge and worldwide. 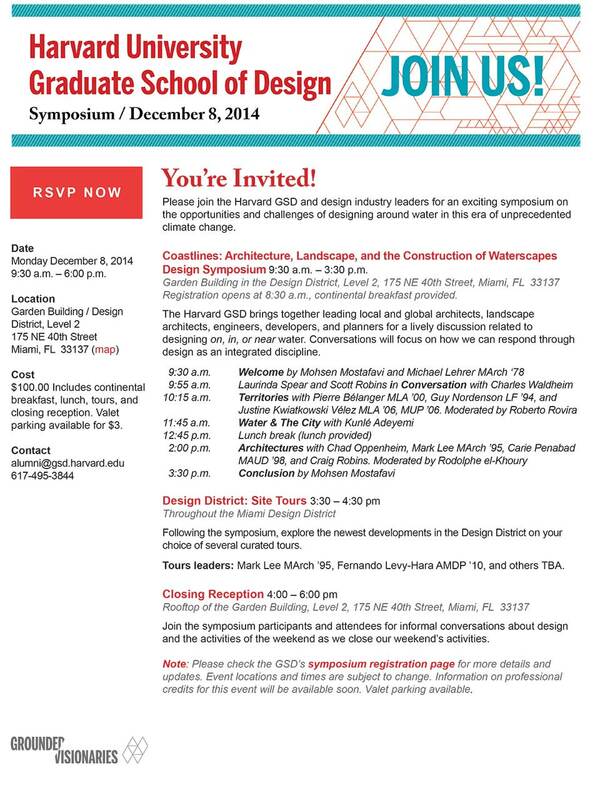 Dean Mohsen Mostafavi will engage participants in discussions related to designing on, in, or near water and the unique challenges related to these environments in this era of unprecedented climate change.